Diabetic Diet Is The Healthiest Diet In The World! Be Sure Of That! Diabetes mellitus, is the most common metabolic disease of modern times. This is a disease in which blood sugar (glucose) levels above normal, resulting from reduced secretion of insulin or due to its malfunction. Insulin is a hormone that controls the level of glucose (sugar) in the blood. 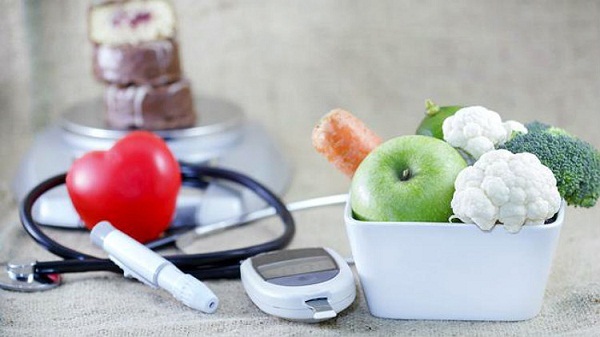 It is very important to have a appropriate diabetic diet plan. According to recent estimates, about 371 million people living with diabetes. Food that is good for diabetics is actually a model diet that is good for healthy people. But those who have problems with blood sugar levels and they want as long as possible to delay the use of drugs and insulin. Is not a priority only to choose healthy foods, but also to feed properly. Nutrition should be scheduled at five meals and do not skip. In each portion are represented by all of the nutrients in the appropriate proportions. Therefore in a quantity corresponding to the needs of the individual. For diabetics, it is extremely important that the meals are properly arranged on a regular day. And that they represented all foods, and all nourishing nutrients, where there are certain rules. For example, in the choice of carbohydrates should choose these whole foods that are rich in fiber. These are whole grains and vegetables that diabetics must eat in unlimited quantities. Especially recommended green leafy vegetables, cabbage, kale and collard greens, and potatoes, carrots, and beets should be moderate. When creating the menu it is important to pay attention to the ratio of carbohydrates, proteins, and fats. Experts say that 55-60 percent of the menu for diabetics should do carbohydrates. Therefore 15-20 percent protein, and 25-30 percent of healthy fat. With carbohydrates should certainly be careful because too many carbohydrates can lead to a significant increase in blood sugar.